FERC Issues Notice of Alleged Violations in 2011 Southwest Incident January 22 – FERC enforcement staff issued a Notice of Alleged Violations indicating that it has preliminarily determined that Arizona Public Service, California ISO, Imperial Irrigation District, Southern California Edison, Western Area Power Administration, and WECC violated various reliability standards during the September 8, 2011 outage. The finding comes after a lengthy FERC and NERC investigation, and a previous joint report in April 2012 described the causes of the outage. The outage, which occurred when a single 500kV line tripped and resulted in cascading outages, affected 2.7 million customers in Arizona, California, and Mexico. FERC Proposes to Approve Geomagnetic Disturbance (GMD) Standard January 16 – FERC issued a notice of proposed rulemaking (NOPR) proposing to approve Reliability Standard EOP-010-1 (GMD Operations), which would require responsible entities to implement Operating Plans and Operating Procedures or Processes to mitigate the effects of GMDs on the Bulk-Power System. FERC directed NERC to develop the standard in Order No. 779. Comments on the NOPR are due by March 24, 2014. FERC Approves Updates to Frequency Response Standard January 23 – FERC issued a final rule approving most of NERC’s proposed update to Reliability Standard BAL-003-1, Frequency Response and Frequency Bias. The updated standard clarifies how frequency response capability is to be measured and requires balancing authorities (BAs) to maintain sufficient frequency response capability to maintain grid reliability. Significant changes to the existing reliability standard include new requirements for measuring and verifying that BAs have sufficient frequency response resources available (including both primary frequency response and Automatic Generation Control) and a new methodology for calculating a BA’s Frequency Bias so that it accurately matches the BA’s actual frequency response. The final rule also approves NERC’s proposed implementation plan and all but two of the proposed Violation Risk Factors and Violation Severity Levels. New Requirement R1, which establishes BAs’ basic obligations to maintain sufficient frequency response, will go into effect on April 1, 2016. The other updated requirements—including the requirement for calculating frequency bias—go into effect on April 1, 2015. FERC Issues Order on Motion to Defer Action on NOPR for TOP and IRO Reliability Standards January 14 – FERC issued an order deferring action until January 31, 2015 on the Commission’s NOPR proposing revisions to the TOP and IRO Reliability Standards. NERC requested the deferral to examine the technical issues in the standards and develop any necessary revisions through the NERC standards development process. 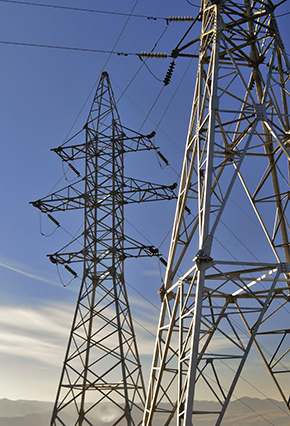 FERC Approves Texas Regional Frequency Response Standard January 16 – FERC issued an order approving the joint petition of NERC and the Texas Reliability Entity for regional standard BAL-001-TRE-01, on primary frequency response. The proposed standard, implementation plan, and associated violation risk factors and violation severity levels are effective immediately, with enforcement beginning on April 1, 2015. Information collection requirements are not effective or enforceable until OMB approves of the changes. FERC and NERC Provide Recap of Reliability Efforts and Issues During Polar Vortex January 16 – FERC and NERC gave a presentation to FERC discussing electricity supply and reliability during the recent polar vortex cold weather event. Record cold temperatures in many Northeast and Midwest cities set new peak winter demand for electricity, but the spike in natural gas demand for heating did not lead to significant electric supply disruptions. In several areas, demand response helped system operators meet reliability targets and maintain electricity supply. House Subcommittee Moves Bipartisan Cybersecurity Infrastructure Legislation January 15 – The House Homeland Security Committee’s Subcommittee on Cybersecurity, Infrastructure Protection and Security Technologies passed on a voice vote House H.R. 3696, the National Cybersecurity and Critical Infrastructure Protection Act of 2013 (NCCIP Act) (summary here). Among other things, the bill would strengthen and facilitate a number of existing civilian DHS cybersecurity initiatives, and would prohibit certain new DHS regulatory authority. The bill is sponsored by Democrat and Republican Committee and Subcommittee leadership, and has the support of a broad spectrum of stakeholders, including the American Civil Liberties Union and energy trade associations including the American Gas Association, American Public Power Association, Edison Electric Institute, and National Rural Electric Cooperative Association. MRO Posts 2013 Annual Report – MRO issued its 2013 Annual Report. The report highlights some of the significant projects occurring in MRO during the past year, including conducting a Reliability Assurance Initiative pilot project, assisting in the resolution of issues related to COM-002, and working to address how individual wind turbines will be considered under the new BES definition. The annual report also offers a strategic plan for 2014, including the development of the CMEP processes, procedures, and practices to focus MRO’s efforts and enforcement around risk and more significant matters.